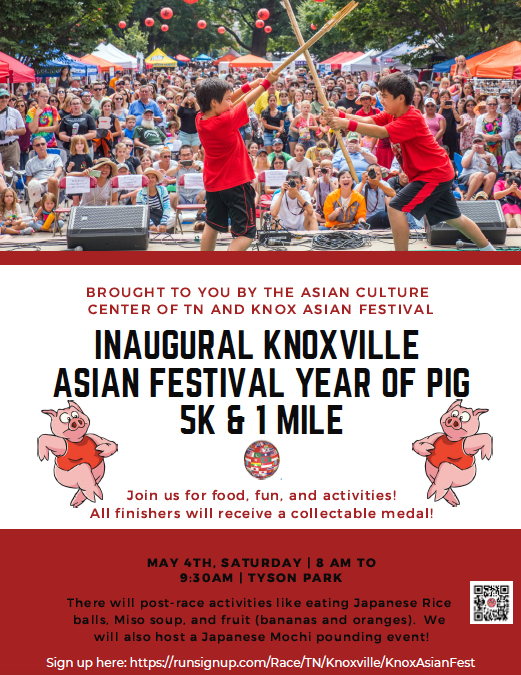 Join TN-China Network in support of the Knoxville Asian Festival by running with us in their 5K and 1 mile race fundraiser Saturday, May 4, 2019, at 8:00 am in Tyson Park, Knoxville! Meet other people interested in business with China, get some exercise, and support a great organization that educates folks in East Tennessee on Asian cultures and countries! If you are interested in running/walking with the TN-China Network team, email erowland@tnchinanetwork.org.